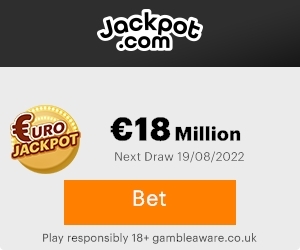 Also known as the, “big fat one” La Primitiva, one of Spain’s most popular lottery games that has swept the country and also awarded billions of prizes to winners over the years. La Primitiva’s roots date back as far as the late 1700s and is still the country’s most popular games besides, Euromillions and EuroJackpot. La Primitiva is the most popular of Spain’s lotteries, offering attractive prizes and impressive winning odds which frequently land the Spanish favourite in theLotter’s theSmart lottery category. La Primitiva held its first draw on December 10th, 1763. The lottery’s name means “the primitive one,” which points to its long history in Spain. The original La Primitiva play structure required players to match 5 numbers in a range of 1-90. In 1862, La Primitiva was removed from play by royal order but was later reestablished on August, 7, 1985. Following its return, the lottery was run by the Organismo Nacional de Loterías y Apuestas del Estado (ONLAE) and adopted the play format that is still used today. La Primitiva awarded its record jackpot of €32 million in January 2013, after setting its previous jackpot of €26,200,000 in April 2007. Drawings are held every Sunday at 13:00 (GMT+1). Five numbers are drawn at random from 1-54, and then another one for the key number from 0-9. Prizes are awarded to tickets whose numbers match the drawn ones. First prize is for a perfect match (5+1), second for 5+0, third for 4+1, and so on until 2+0, totaling 8 prize categories. Tickets whose key number matches the drawn key number are entitled to a refund of the amount played. A ticket can hold more than one bet, but each bet cannot win more than one prize. From the total amount collected T, the state keeps 45%. 10% is reserved for returns (refunds), and 45% is distributed on prizes (22% for first category, and 33% for the rest of prizes). For all categories, the prize is shared in equal parts among all matching tickets. First category has a guaranteed minimum amount of five million euros. In the case of no first category winners, 50% of the amount reserved for the first category (11% of T) is accumulated to the guaranteed (or previous) amount for the next drawing, often leading to huge bonus prizes (just for the first category). Special rules apply in case any of these categories remains void, and also in case any category were to have lower prizes than a lower one. En esta ocasión hay que sumar una nueva anécdota al mundo de las Loterías con la noticia de un asturiano que ganó 2,7 millones de euros en la lotería primitiva. Este hombre, residente en Lugo de Llanera (Asturias) no supo que tenía un décimo ganador hasta trece días más tarde de haber sido premiado. El agraciado era un asiduo a la lotería primitiva y apostaba de forma habitual 1€ para las loterías del jueves y el sábado.